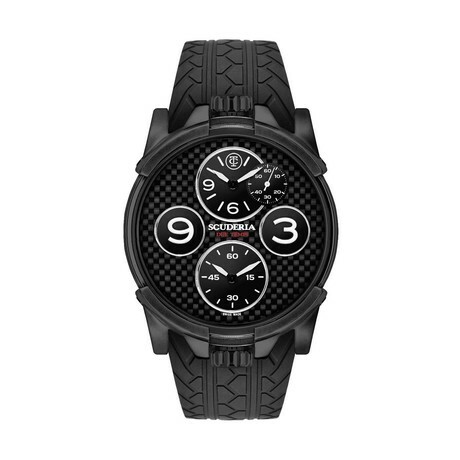 In Italian, Due Tempi means 2 times which plays to the major characteristic of the Due Tempi Collection; every watch is made with 2 quartz movements, which is inspired by the very popular café racer bike, the Kawasaki 500cc, which has a 2-stroke engine. Thus with two quartz movements comes two crowns placed at the 6 and 12 o’ clock positions that provide for a very distinctive look and adds to the overall dual theme of the collection. Details include real carbon fiber dials, Lumi Bright hands and numerals.